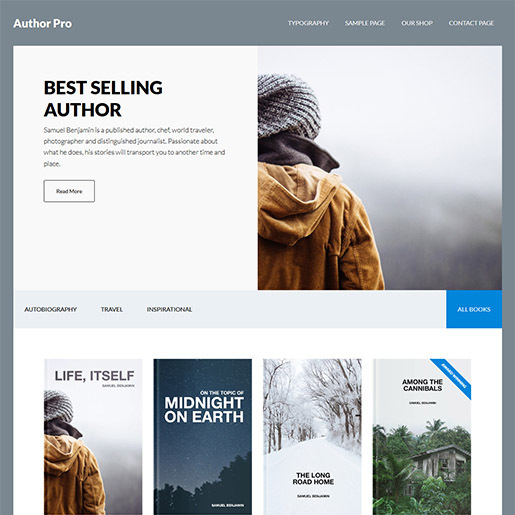 15+ Best WordPress Themes For Writers and Authors 2019! Blogging has become the most important aspect for any writers or authors now that digitalized media has taken over the mainstream medium of books and magazines. And with more and more audience online, blogs are probably the preferred choice when it comes to sharing your contents to your targeted audience. Even the whole publishing and editing each article is comparatively more effective and easier when it comes to blogs. Becoming more and more popular, online sources have become an innovative addition for Novelists, Authors and Writers to share their imaginations and contents. Now that WordPress is one of the leading platforms for online sites and blogs, it has comparatively made progress in the niche. Which means that more features and components have been contributed with authors and writers in mind. And of course, this includes the main element: themes, to go along with your written content and perspective reserved for your site. So today, we explore and experiment with the best of the WordPress themes out there making sure that we provide our users with nothing but the best! Feel free to browse through our hand-picked list of Best WordPress Themes for Writers and Authors and choose the one that best suits your needs. Best WordPress Themes For Writers 2018! 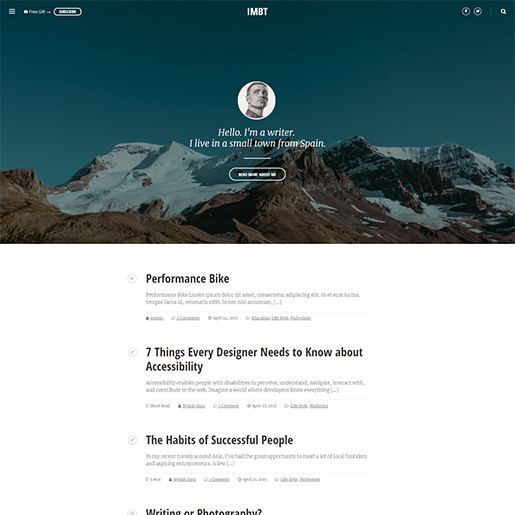 An incredible addition to the best WordPress themes for writers, Cenote is clean, minimal and visually appealing. With a range of amazing options to get the best results from your online platform, this theme consists of blogging, magazine and writing based features. It is completely responsive and retina-ready making it effortlessly load on all device screen size with ease. Additionally, the flexible and versatile layout can be easily customized to meet your preference. Change the Google Fonts, background colour, theme colour schemes and more with just a few clicks. 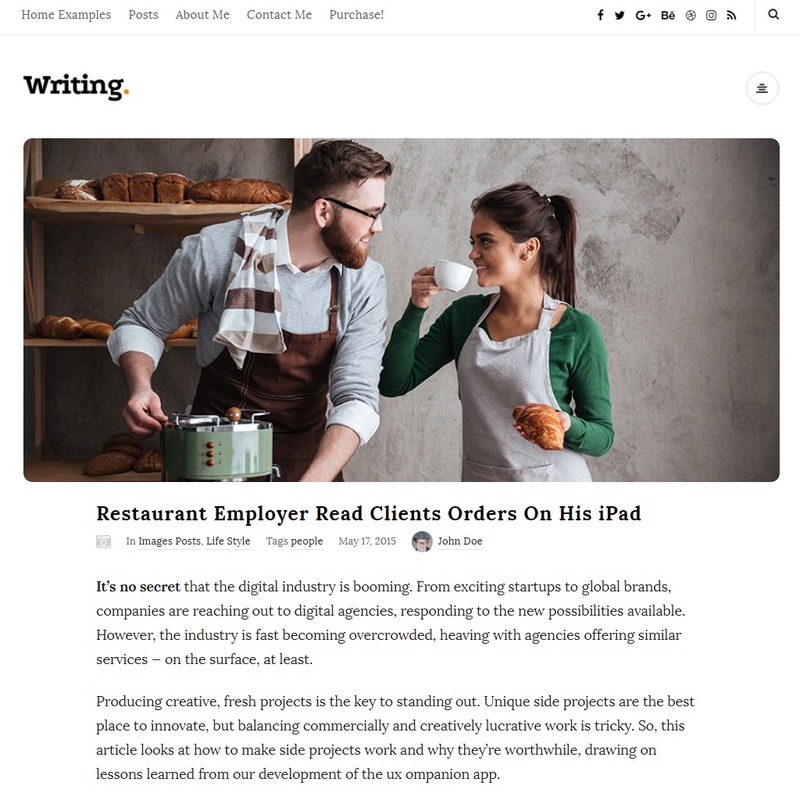 Just as the name suggests, Writing is a Premium WordPress theme that is suitable for writers and authors looking to share their contents in a clean and effective way online! The minimal design of the theme makes sure that your viewers get the most from your contents without any distractions. What makes it the perfect choice? Well, your content will impact even more audience now that the theme also supports international and RTL languages! Clean, minimal and modern design. Awesome and Improved SEO results. Option to choose blog styles and layouts. 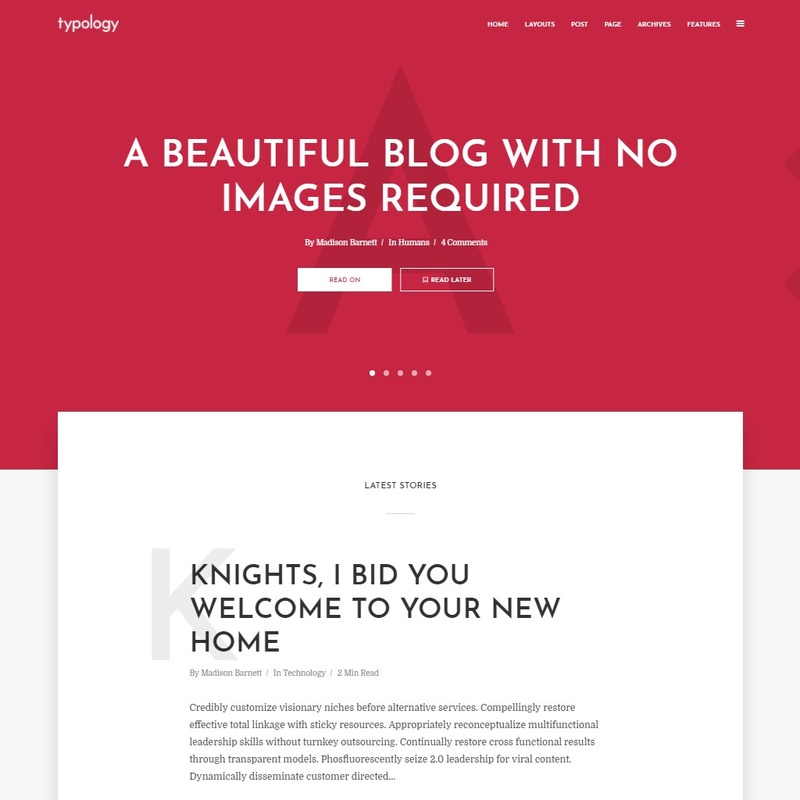 A great place to showcase your articles, Typology is a text-based WordPress theme. Simply put, this theme is a beautiful and elegant way to hold your contents without the help of any images. The unique design and the lovely typography takes it upon themselves to create the stunning look and feel on your site. What’s more is that the theme also comes with built-in translation making it accessible to a larger range of audience. Setup Guides available for ease. 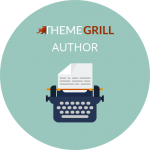 One of the best premium WordPress theme Author Pro as the name says it, is perfect for the writers and author in you. A flexible enough theme that focuses on the content as well as an eCommerce, you can also set up your store online with this. And what makes it so perfect to fit the name? Well, with the theme you get access to the Genesis Author Pro Plugin which enables you to create a beautiful library within the site. And take our word when we say, this theme is certainly worth the investment. Easily customizable header and widget areas. An elegant take on WordPress themes for writers and authors, Grace Under Pressure is sure to give you that homely feeling to your piece of writing. A touch optimized theme especially for the touch and swipe devices, this premium theme will add that extra touch of grace to your site. Each and every element of the theme is designed with attention to details so that your site also gets the professional outlook. With everything so perfect, this theme certainly deserves the place on our list! Touch and swipe devices optimized. Beautiful Cover Photo option with beautiful typology. Customizer friendly with Live Preview. 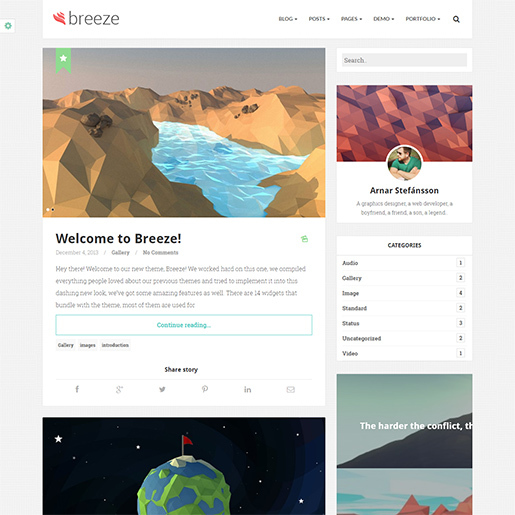 A minimal and beautiful way to express yourself and your creative words, Breeze is a premium WordPress theme to share your contents. The theme features excellent visuals and what’s great is that it is optimized for any type of device your user may be using. Another major thing about the theme is that it comes with 14 custom widgets directed at social media platforms. You also get great support for your inquiries and feedbacks! What else can you wish for? Multiple blog styles to choose from. 14 widgets directed at social media. Google Responsive Ads widgets available. Fully responsive and mobile-ready designs. 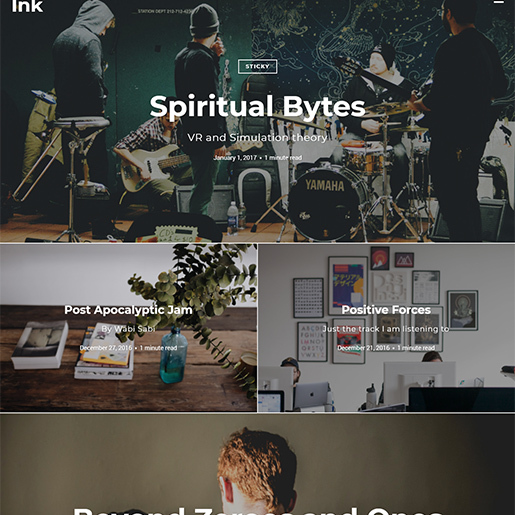 Ink is a great premium WordPress theme with a minimalist design and narrative center that takes care of all your written contents. The theme ensures your site with the authentic and native look as well as feel. Ink also features easy customization options to make sure that you can create the perfect site. Another awesome thing about this theme is that they offer multiple or if we are counting the numbers- 9 blog layouts to choose from. Supports custom video and image headers. Retina ready and HiDPI displays. Extensive documentation to help you out. A unique and easiest way to blog, Smart Blog is a premium WordPress themes for writers and authors. Light as well as elegant, this theme is a treat for the eyes. Packed with awesome features this is probably the best investment you would make for your website. Why? Well, the theme comes packed with awesome robust features and super-easy-to-use backends systems. In addition, the theme also gives you the choice of multiple layout styles to choose from! Fully responsive and retina ready design. Sticky top bar with customizing options. 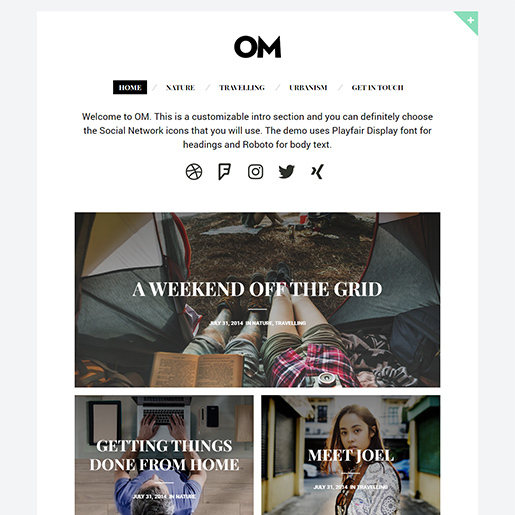 Professionally created for photo blogging and writers with a visual storytelling outlook, OM is a premium WordPress theme. It features great typography, colors as well as attention to details making the end result really mesmerizing. This theme is also customizable and lets you edit the elements including default font colors, typographies as well as font sizes and backgrounds. 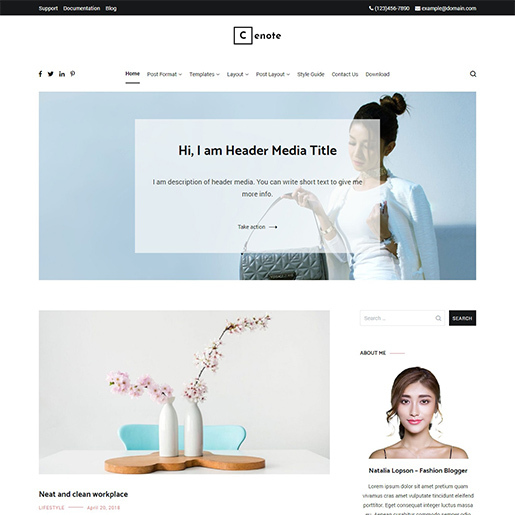 Clean and aesthetic feel to your website, this theme is sure to take your site to another level. Multiple layout designs to choose from. Compatible with the most popular plugins. 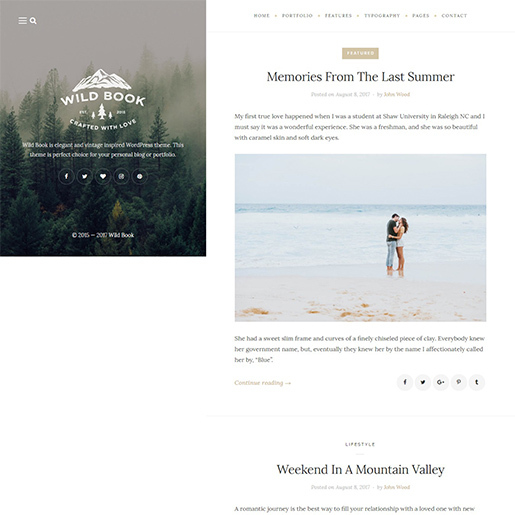 Vintage, elegant and creative, Wildbook is yet another awesome choice for the writer out there looking for their WordPress site. This premium theme takes all of the aspects of innovativeness and presents itself in the form of a great WordPress Theme. The design of the theme focuses on a split page layout and also features a vertical menu. To top it off, this theme is also customization ready, which means that you can create the perfect site of your preference with a few changes! Multilingual & Translation ready theme. SEO Friendly and RTL support. 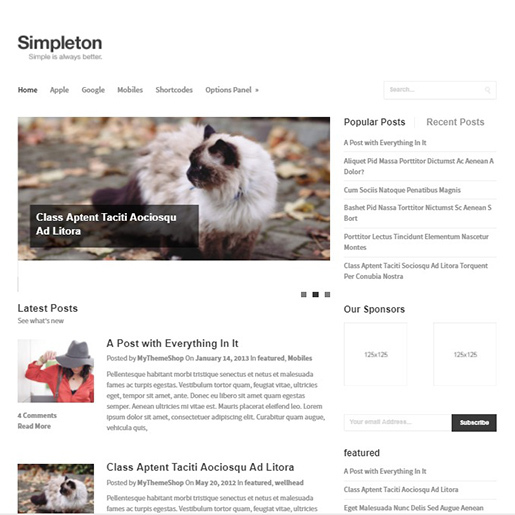 The name defines the whole aspect of the theme as Simpleton is a simple, minimalistic and clean theme designed especially to focus on your contents. It is lightweight as well as flexible enough to meet all of your needs and best suits the websites which focus on their contents rather than the whole outlook of the site. Although the theme may look simple, don’t be fooled as it is feature packed and thus remains on our list of Best WordPress themes for writers! SEO and Adsense optimized theme. Translation ready and custom widgets. Premium and extensive customer support. IMBT or Internet Marketing Blog Theme is a theme that turns your site into an innovative and creative way to keep your users hooked. That’s right, the minimal and responsive feel and the added appeal of the uniqueness is enough to turn any visitor into a subscriber. And the best part is, it takes only minutes to install and set it up! A theme designed and inspired by Seth Goldin’s marketing philosophy, this is probably the best theme to increase traffic and viewers. WPML ready and 100% responsive. Want to share your life and family online? Here is a premium WordPress themes that is probably the best choice for you. 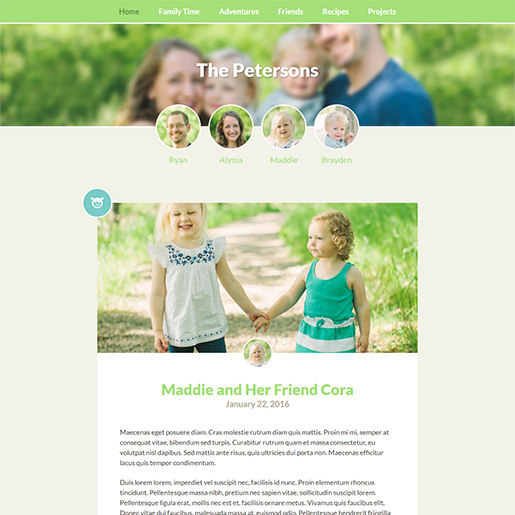 Beautiful, pretty and simple, Family Blog is yet another awesome WordPress theme for writers and bloggers. The theme features the creative perspective of sharing your personal moments. Each and every member of your team or family can also get their very own limelight with the personalized profile. So why wait? Tell your story and showcase each and every precious moment. Two different layouts to choose from. Option to add or import icons. 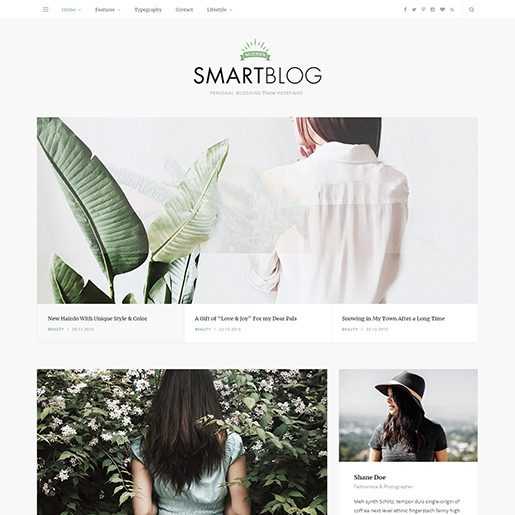 New Blog as the name gives out is a simplistic and amazing looking free WordPress blog theme. Designed with minimalism and clean interface in mind, it gives out the impression of professionalism. Perfect for any online writers, bloggers, writers, news and magazine websites, the theme is also highly customizable. With options for Free Google fonts, custom background, logo, typography and more, the end result you come up with is sure to impress anyone. The full-width header image makes it easier to focus your attention on the content you wish to share. Free Google fonts to choose from. 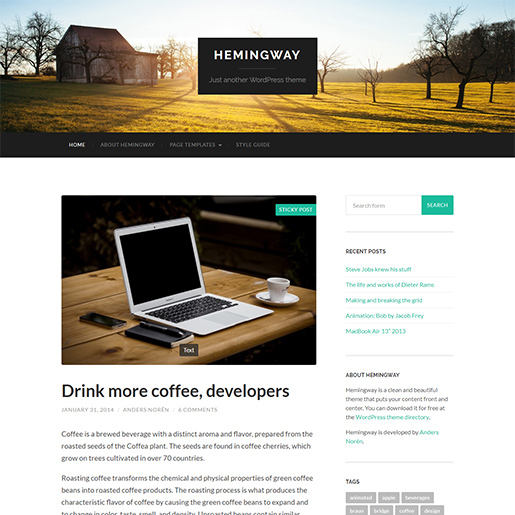 If you are looking to for a free WordPress themes for writers then Hemingway is the best option. And we say because this theme is feature-packed and as good as any premium ones. With clean and beautiful design, the theme is sure to keep any viewers focused on your contents. The simplistic take on the layouts and the easily customizable options are a plus! So why not try it out for free today? 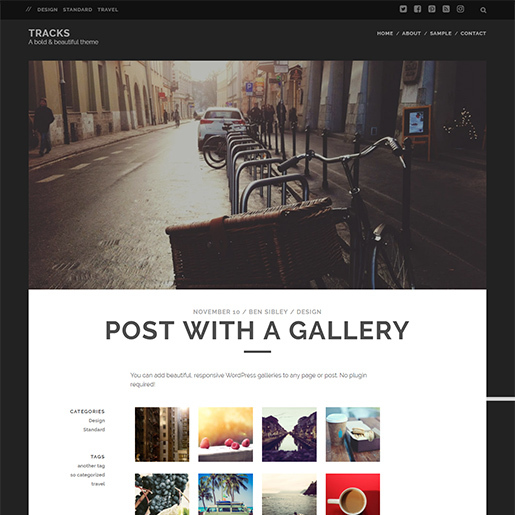 Bold and beautiful, Tracks is a great WordPress Theme for writer and content focused bloggers. The edgy and modern design takes the cake on this theme and includes the logo uploader and over 50 social media icons for your convenience. This theme has a simple, dark and minimal layout style that makes it a great option for any content-based blogs and website. Not only this, but this free theme comes feature-packed with advanced options and thus makes it on our list if Best WordPress Theme for writers! Over 50 social media options. 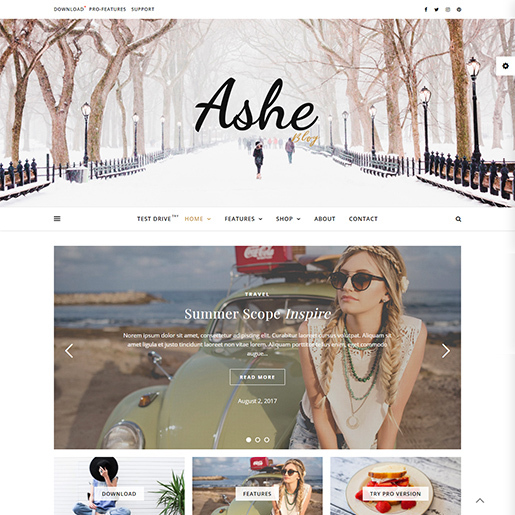 Fully responsive with clarity and simplicity in mind, Ashe is a free WordPress theme that is best suited for blogs and content based sites. You can also add personal or multi-authors on your site making the perfect theme for blogging. Another major feature of this theme is the Promo-box design that it features. SEO optimized, retina ready and WooCommerce compatible, what can you possibly wish for more? 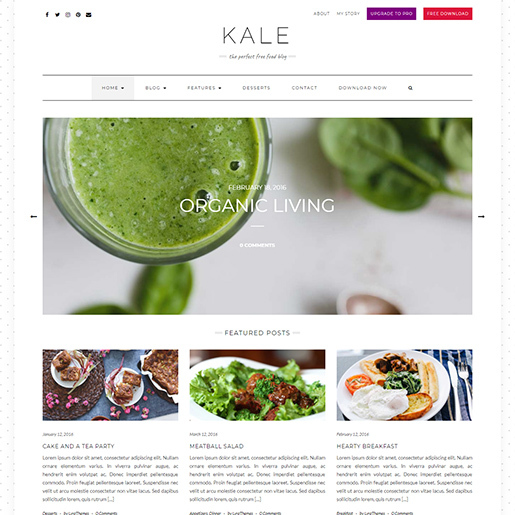 Elegant, charming and minimal, Kale is a free WordPress theme that is designed for bloggers to showcase all of the user’s contents. Whether you are looking to share your recipes, lifestyle, fashion tips or blogs, this is the perfect option for you. Optimized for SEO, this theme is also really easy to install and set-up. And the best part of it all is that, it also comes with multiple blog layouts to choose from! 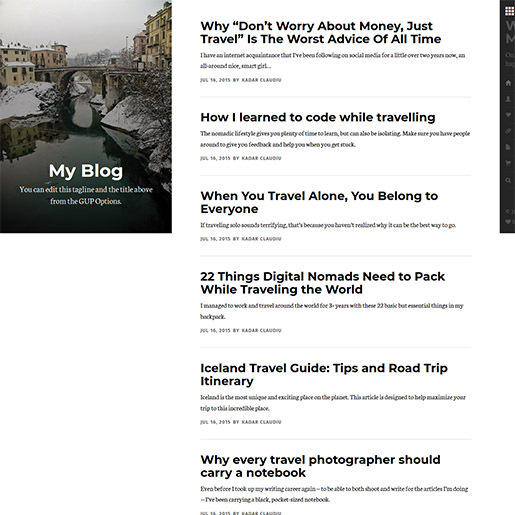 Multiple blog layouts to choose from. Built-in menus and sidebar options. When it comes to blogging and writing anything online, the best platform we prefer is surely WordPress. And with the themes that we have listed, we hope you have found the perfect way to start out your site! Whether premium or free, we have made sure that we have made the collection of nothing but the best for our users. Liked our article? Why not check out some more theme listing that we have hand-picked just for you? 10 of the Best WordPress Podcast Themes for podcast websites! 45+ Best Free WordPress Themes for 2018! 10+ Best Premium WordPress Themes for 2018! 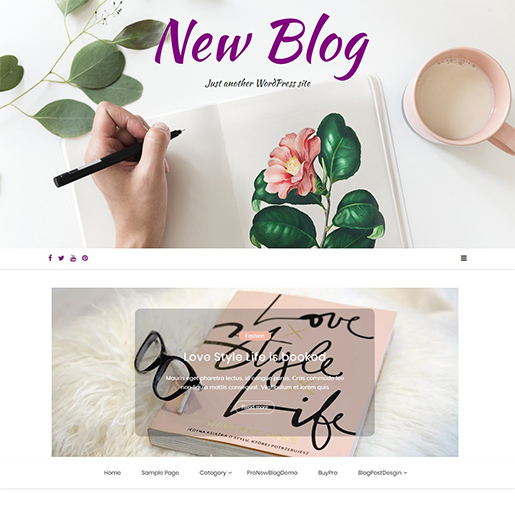 We like to request to list our new theme called as “ new blog “. “New blog” theme has been published in WordPress.org on Dec 31 and now it has 400+ active installation and I hope it will increase more if got listed here at your site. This recognition motivate us to make more standard theme in future.